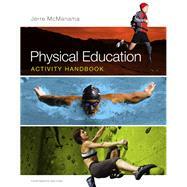 The Physical Education Activity Handbook, Thirteenth Editionprovides existing and future physical education teachers with the content knowledge and teaching techniques they need to offer their students a chance to learn a wide range of engaging activities. More than 40 activities are explained, with essential information such as equipment, rules, skills and techniques, teaching and learning strategies, and a comprehensive reference section for further expertise. Activity chapters instruct the reader in three key areas: what the activity is, how to do it, and how to teach it to others. Using this text, teachers and teachers-in-training alike will be fully prepared to offer their students a varied learning experience that is engaging, exciting, and meaningful. The Thirteenth Editionfeatures the addition of Zumba and Pilates content, new instructive web links in the end of chapter material, and updated instructions and photos. Jerre L. McManama's career spans 47 years of scholarly productivity in teacher education and sport at every educational level. As a professional, he has written over 30 books/chapters in books, articles, grants, creative endeavors, and editorial reviews. He has given more than 35 presentations to national and regional teacher education and sport organizations. Through these organizations, Jerre has continuously provided professional leadership serving in capacities such as board member, president, chair person, etc. This involvement has earned him honors and awards such as “National Leader,” “Award-of-Merit,” “Hall-of-Fame,” “Meritorious Service,” “Governor’s Award,” and “Outstanding Tenured Faculty Award.” He has received Emeritus status at Ball State University and currently supervises student teachers, serves as Adjunct Faculty at the University of Indianapolis, and continues to write. National Organizations Represented include: AAHPERD, NASPE, USOC, AAU, USCSC, NCAA, NAIA, USVBA, USVCA, NVCA, USAV.